Help us drive home the message to the trade and beer drinkers that SIBA brewers produce the best beer in the World! 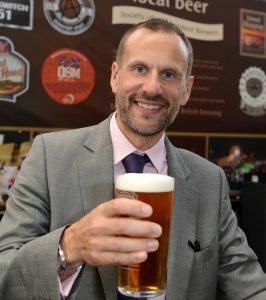 In such an exciting and diverse beer market we work to promote quality beers from independent craft brewers so that publicans and pub cos know that stocking quality crafted beers will benefit their business and that beer drinkers are well informed about local beer and that great quality beer transcends format comes in all shapes and sizes; cask, keg, bottle and cans included! We are involved in a range of partnership projects including Cyclops Beer, the Cask Report and There’s a Beer for That as founding members of Britain’s Beer Alliance. In 2015/16 we are leading a major project into the ‘language’ of beer to break down the complex language around our national drink with insight to inform buyers, publicans and drinkers alike.